Living with Tease (Woodwynd High Tea at Crossroads UDx2 MXJ MX RD PAC) in St Ann, Missouri Babe has big shoes to fill. A black and white beauty with dark eyes, lovely angles and easy going movement, Babe was not shown until sisters Ellie & Cupcake finished their championships but came out with a bang. 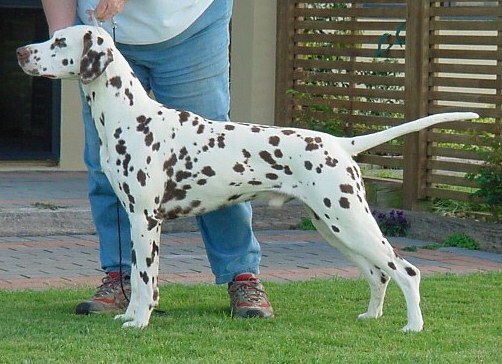 Babe has been Winners or Reserve in all but one show that she's been entered in and built her own major by going Best of Breed over 4 specials (including the #2 Dalmatian!). Owners: Jeannine Kerr & Mary-Lynn Jensen, Ph.D.